View previous image, next image, or image index. Backing up to a forest preserve and pond teeming with wildlife, the owners of this home wished to add space and take advantage of the wonderful views at the rear of the property. The first floor was completely gutted and a screened porch was added on. A second floor was constructed under the eaves of the roof thereby maintaining the small-scale character of the neighborhood. 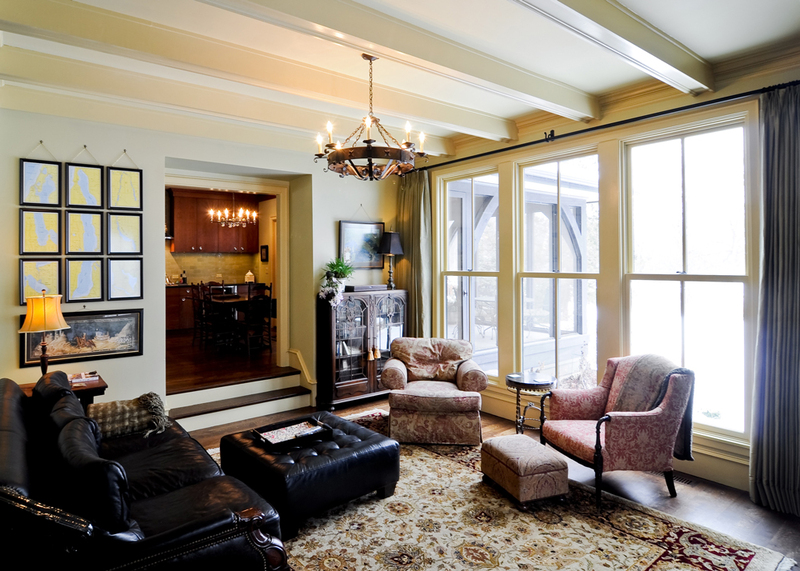 Multi-piece moldings, wide plank oak flooring, beamed ceilings, antique lighting, and built-in cases add detail and warmth. The new main living spaces are located at the rear of the home, allowing its occupants to observe their natural surroundings on display year round.